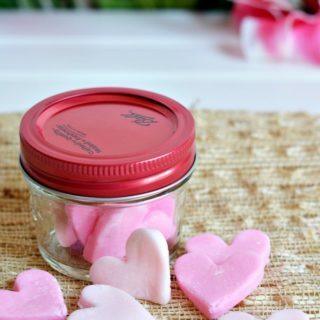 Sometimes when we start a new DIY project it’s because we saw a cool idea that we simply must try. 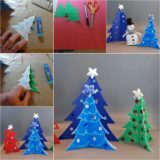 Other times it’s because actually need something functional or decorative and we know we could have fun making it ourselves rather than buying it from the store. 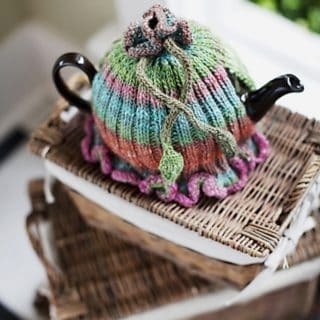 If we’re being honest, we also sometimes just make things because we want to be creative with unconventional materials we have lying around that we’d rather upcycle than throw out. 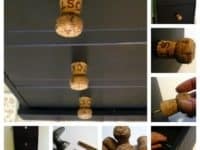 Lately, we’ve been obsessed with one particular thing that helps us combine all of the above in one genre of DIY project: corks! 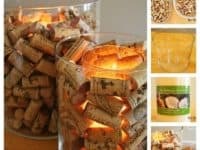 Check out these awesome crafting techniques that will help you make all kinds of decorative and functional things from the very corks that you’ve saved and stockpiled from your favorite bottle of wine each time you finish one. 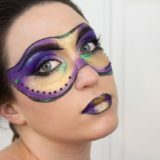 There are plenty of ways to journal that are a little more creative than just your regular old pen and notebook method, but for us, this one takes the cake. 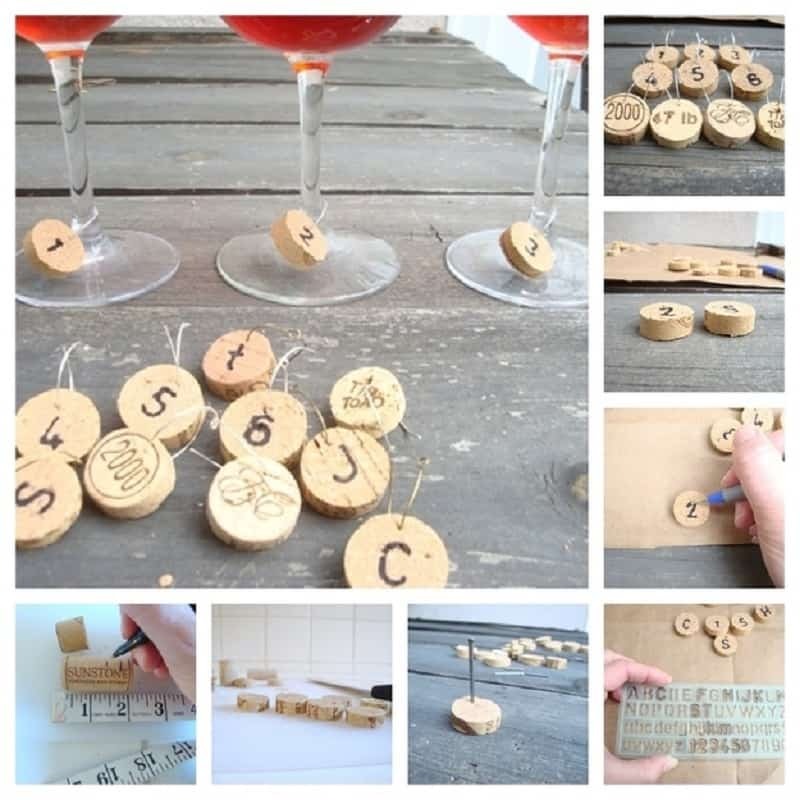 Mintage Home explains cork journaling, which helps you chronicle big landmarks in your life that were such important milestones that you cracked open a bottle of wine to celebrate. 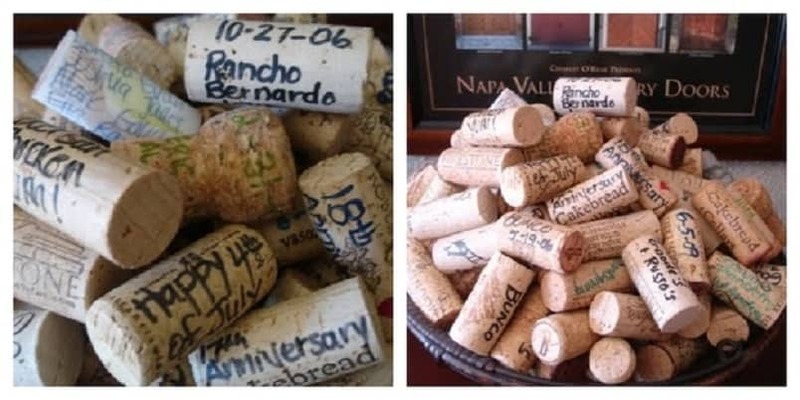 Keep the cork, write the date and the occasion in marker on the side, and pop it in a decorative bowl. 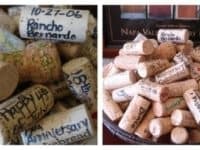 After a few years, you’ll have a whole pile of corks marking some of the best high points in your life! 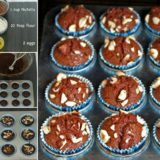 Are you the kind of person who spends a significant amount of time writing things by hand, either by choice because you prefer that to typing or by necessity because you’re required to for work? 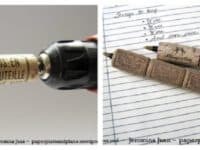 Then you probably already know the importance of a good pen with a comfortable grip. 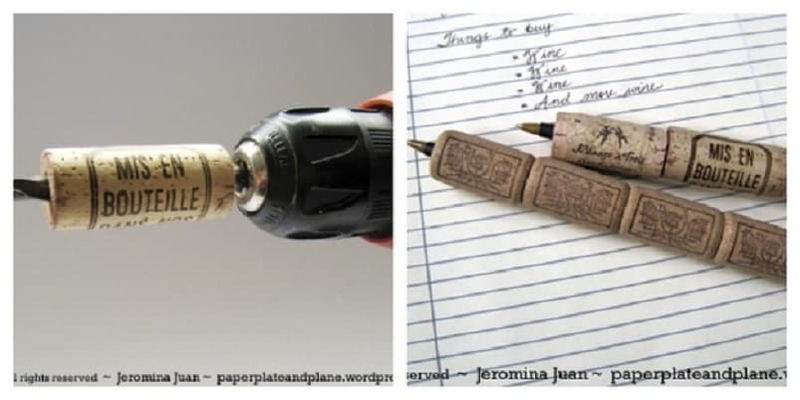 That’s why we loved this cork pen idea from Paper, Plate, and Plane! 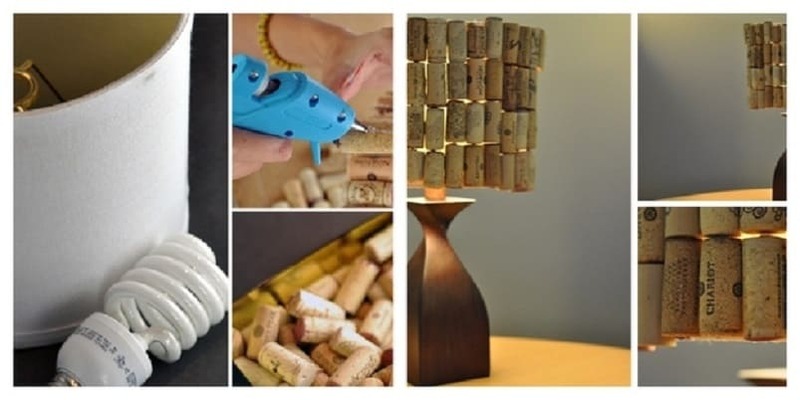 They show you how to drill a hole through some corks to slide them along the pen so you have something a little thicker and firmer to grip than just skinny plastic. 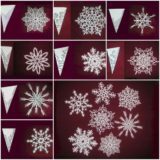 Perhaps you’ve always admired the way people are able to create stunning sculptures out of solid materials, but you’re not quite ready just yet to try your hand at carving something out of marble or stone? 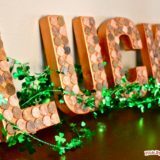 Then get a little creative with it by building your sculpture from pieces of things instead! 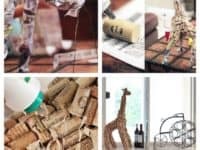 Miss Mel and Miss Heather suggests using cork glued to a frame shape made of wire and newspaper so that it actually stands on its own when you’re done. 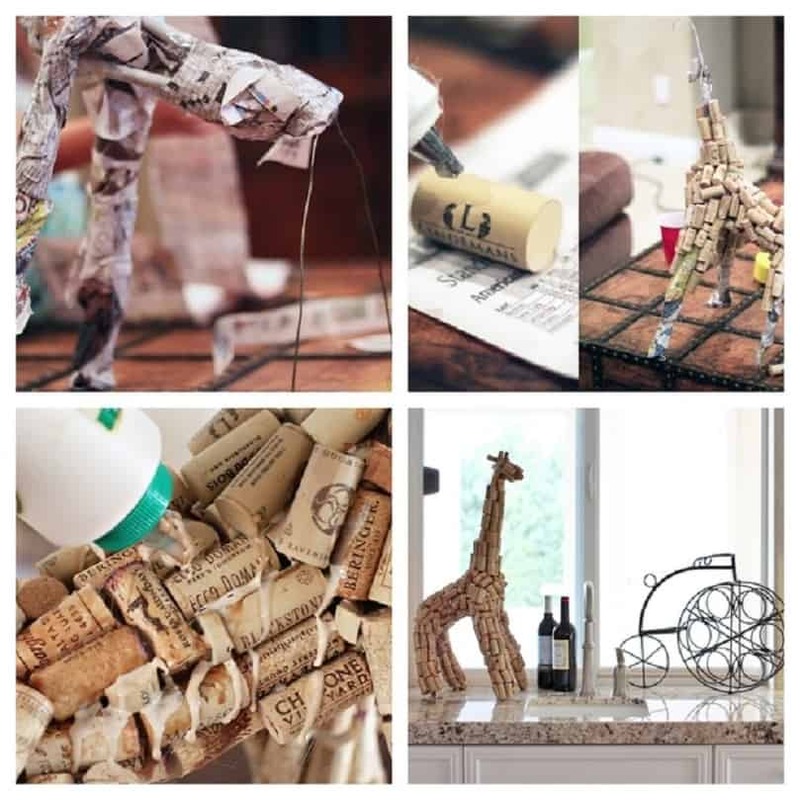 Did you love the idea of building structured things with corks but you don’t necessarily need a décor piece in the shape of a zoo animal right now, no matter how wonderful it looks? 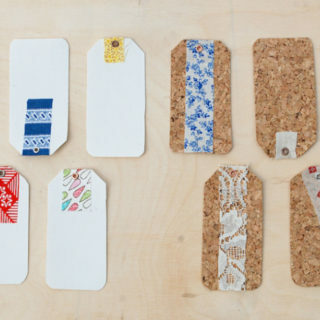 Then try adding an awesome upcycled aesthetic to something you already have in order to give it a stylish new lease on life! 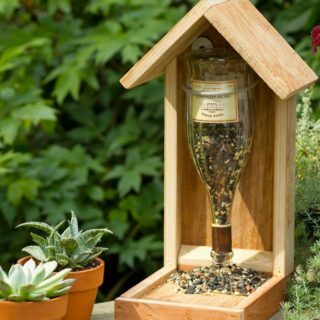 We love the way Earth 911 transformed a plane old lampshade into something kitschy and almost ’70s looking by covered the outside in layers of neatly lined corks. 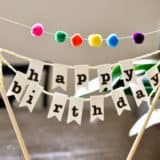 Are you hosting a party soon that will have enough guests to definitely make wine charms or markers a good idea, but that’s just not the kind of thing you see yourself buying at the store when you could so easily make them yourself? 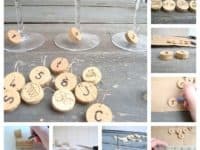 The Chic Site agrees with you and, as if the cute little circle tag they show you how to make weren’t cute enough, we love the fun irony of having wine glasses marked with tags made of wine corks! 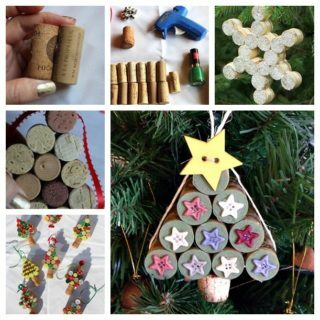 Are you totally into the idea of crafting with corks but you’re not really a wine drinker and the only ones you’ve saved up were from the champagne bottles from your wedding? 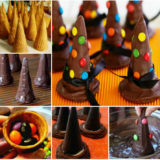 Then you’ll be pleased to know that those are absolutely awesome for crafting as well! 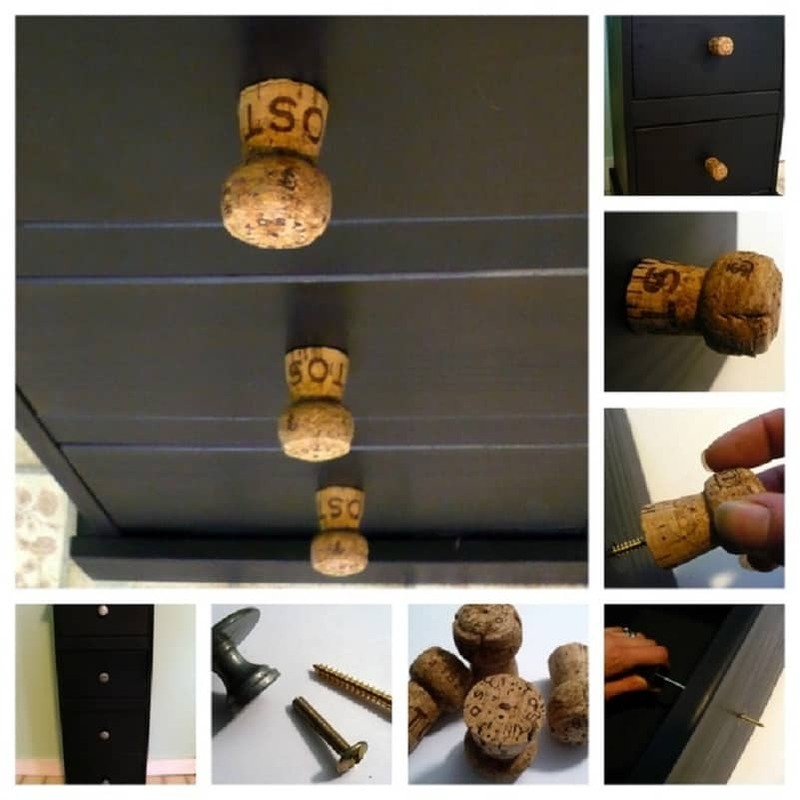 We simply adore the way that Dollar Store Crafts harnessed the unique knob-like shape of the champagne corks by replacing the handles on their drawers with those instead! 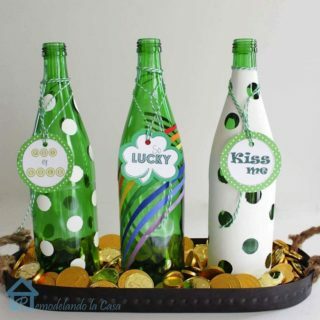 Are you really loving the ideas you’re seeing that involve cutting the corks into shapes and pieces and really getting creative with how you customize them, but you like the concept so much that you’re not sure making décor will quite satisfy you? 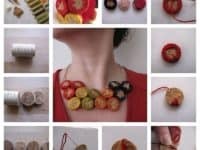 Then try making stunning cork jewelry instead! 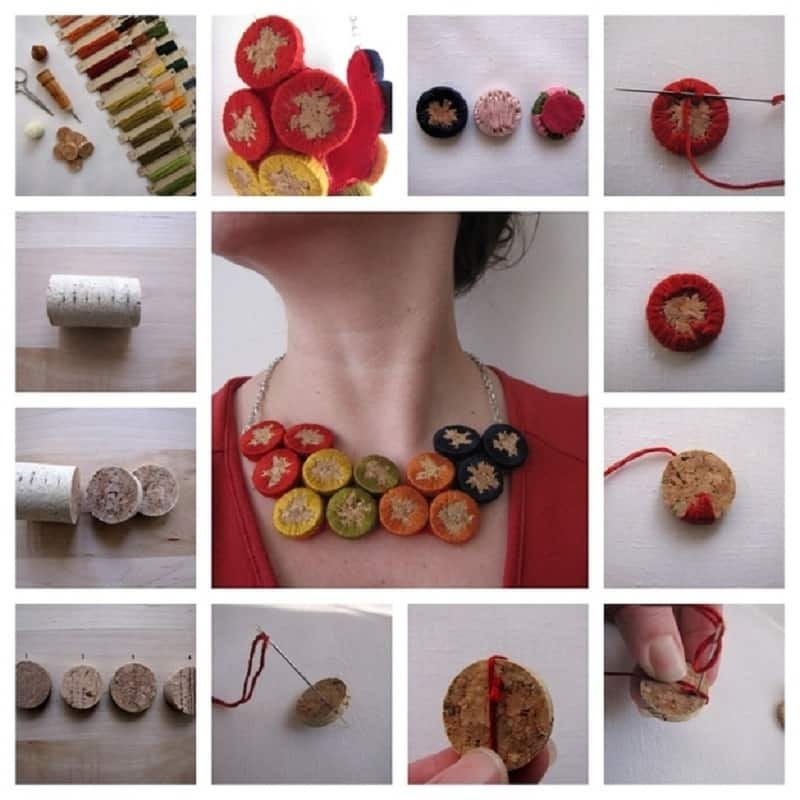 We love Instructables‘ suggestion of embroidered the little cork sections with coloured thread to really make the look your own. 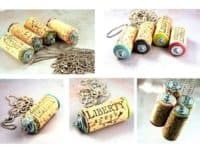 Have we really got your attention now with the idea of cork jewelry but you’d rather harness the classy style of the full wine cork rather than cutting it to pieces? 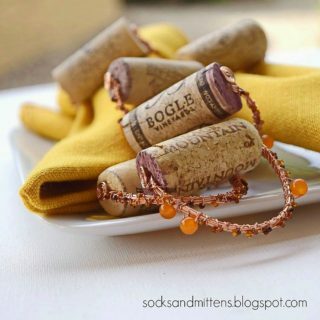 Then check out this cool cork pendant idea from Olive Bites instead! 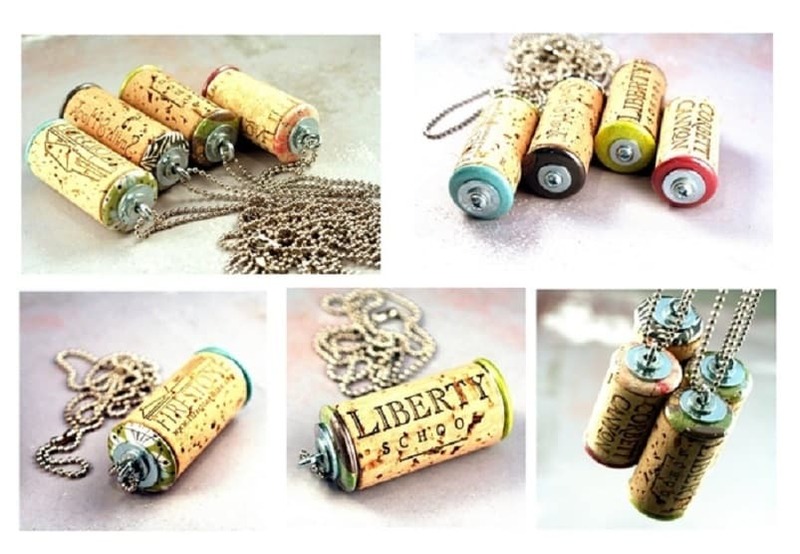 We like the blatantly upcycled feel that it gives thanks to the obvious markings and the simple ball chain. 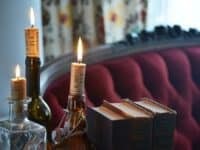 We’ve always been huge fans of making our own candle votives but we’ve made so many at this point that we find ourselves looking for alternatives to the low-sitting tea light holders that are so common. 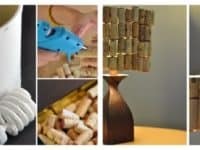 That’s why this tall cork0filled vase votive caught out eye so well! 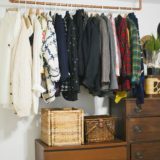 See how it’s done in just a few simple steps on Two Twenty One. Are you rather keen on the idea of making yourself a decorative and kind of rustic looking candle holder but you’d rather get a little more technical and handy than just filling a case with your cork collection? 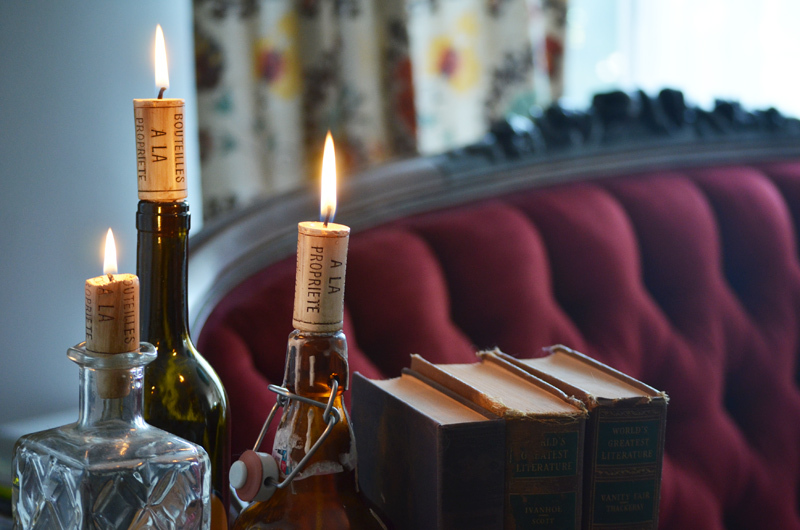 Then follow the steps on Mr Kate and learn how to turn a bottle with a cork fitted into the top into a stunning burning candle. 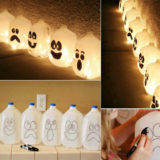 Just remember to be careful wherever there’s an open flame involved! 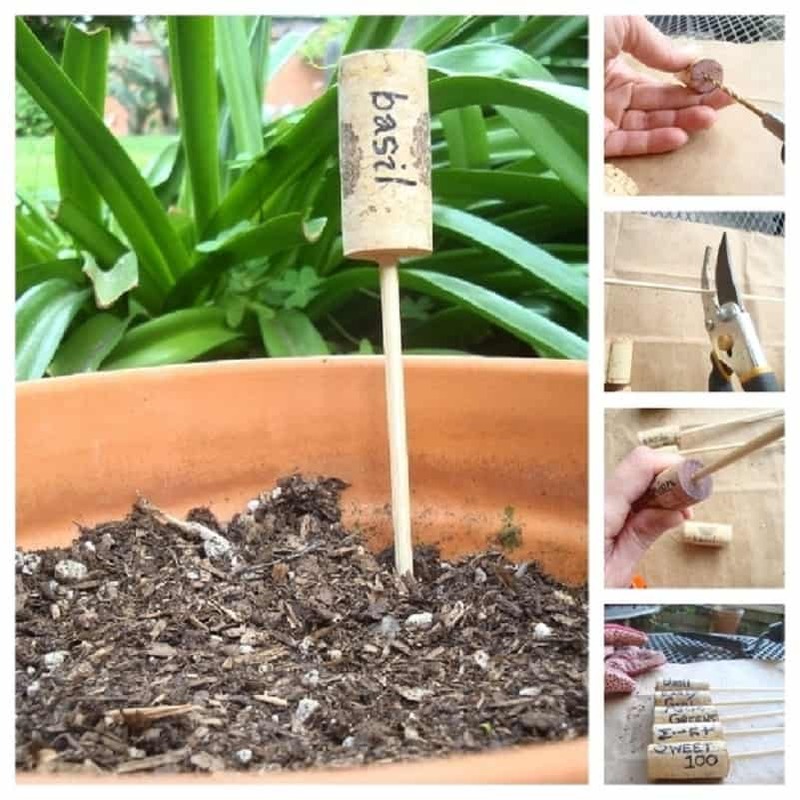 Perhaps you’re looking for an affordable, easy way to mark the plants in your garden this spring, summer, and fall, but you’d rather it look kitschy and cute rather than tacky or cheap? 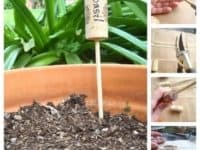 Then simple wine corks on kebab sticks are a great way to go about labelling what you’ve planted! 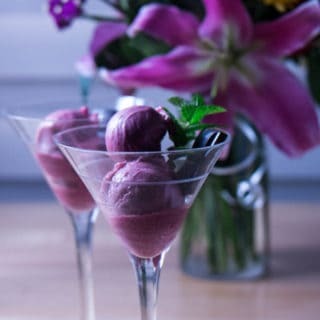 See how they’re made on Babble. 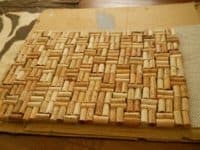 Have you ever experienced the sheer comfortable wonder that is stepping out of a spa tub and onto an awesomely textured cork bath mat, immediately wishing you could take that small bit of wonder home with you? 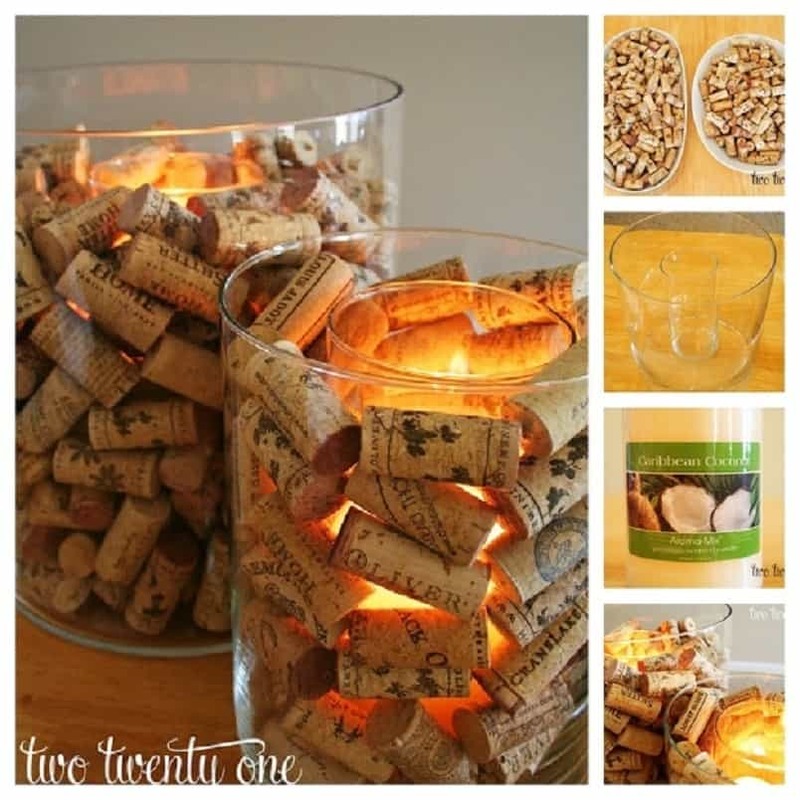 Well, thanks you this tutorial on Crafty Nest, you can! 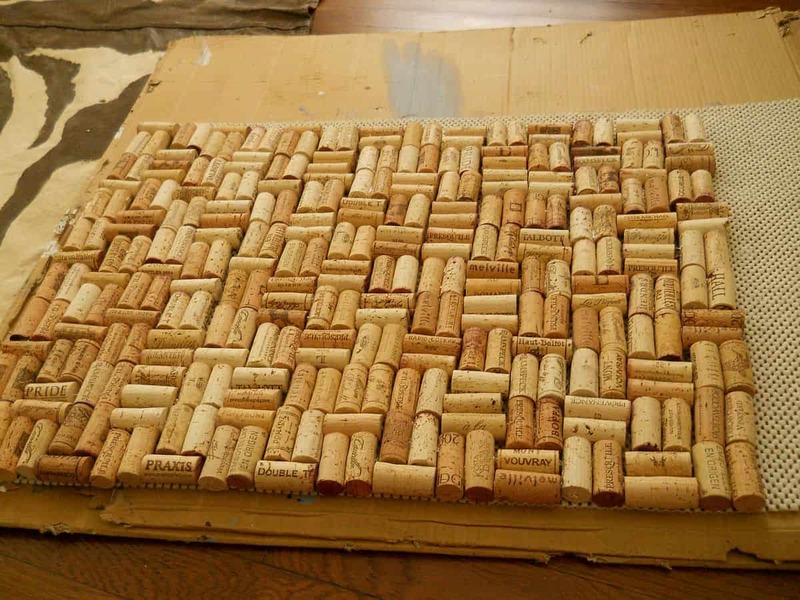 Just make sure you start saving those corks a long while before you really need the mat or asking friends for donations, because that’s a whole lot of wine to drink no matter how stunning the mat is at the end!